Kayden is a 7-year-old elementary student in Miss Bri’s class at Port View Preparatory. He comes to school every day with a smile on his face ready to learn. 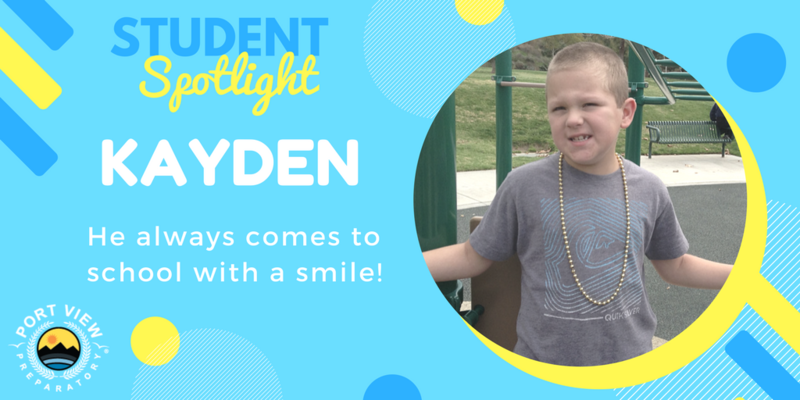 When he is not working on his academics, Kayden can usually be found playing on the playground, dancing with friends, using the tire swing in the occupational therapy room, or playing with beads. In the last year, Kayden has made amazing progress both academically and behaviorally. We can’t wait to see what he will accomplish next!